Create Funny Irish Names: This Fun Free Game Will Get You Laughing! Funny Irish Names: All You Need is an Irish-Themed Occasion and a Group of Friends! Ok, so making up funny Irish names probably isn't really an "Irish" tradition. But you know what? It's fun! Any Irish-themed occasion, whether a birthday, a dinner party, a wedding shower, a retirement gathering, a pub crawl - you name it - will get a jolt of energy from the game we are about to show you. Have a look, and then tell us if you agree! For the sake of this game, we're going to assume you already have a first name and a last name. Or at least a name. If you don't have a name ... well... that's a different article. Let's move on. The whole purpose of this game is to give each party person a hilarious Irish name for the duration of the event. Upon entering the party place, each unsuspecting victim ... er ... guest is handed an instruction sheet. They are given strict orders to read it and complete the assignment. First: Match your first initial to the appropriate letter below, to find your new "Irish" first name. Circle it. Next: Match your last initial to the appropriate letter below, to find your new "Irish" last name. Circle that! Well truly, the possibilities are limited only by your imagination. Be creative! Can you think of other approaches! Tell us about them! So - What is Your Funny Irish Name? If you would like a free, printable copy of the instructions for this game, simply complete the form below, and it will be in your hands a few seconds later! 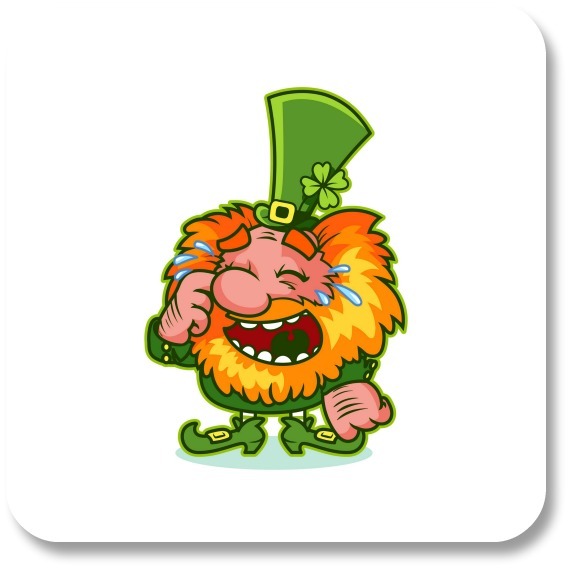 PLEASE SEND ME THE PRINTABLE FUNNY IRISH NAMES GAMECARD! If you have already enjoyed our section on Irish trivia and traditions, you have probably been exposed to many of the most entertaining ways to express your personal Irish side! Until then - thanks for visiting our funny Irish names game! 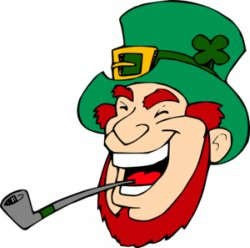 Please continue exploring your Irish side at Irish-Expressions.com.